Our process begins when a client calls our office. During this call, we gain a basic understanding of the individual’s situation and concerns. We provide information about our firm and schedule a time for the client to meet with us. Before we make any recommendations about how to best address an individual client or family’s concerns, we need to understand the client, their goals and preferences, their family dynamic and the resources and assets available. To streamline this process, we gather this data in the form of a questionnaire and then have a private discussion to address the more personal matters. During the initial visit, we learn about the client’s personal goals and wishes and discuss options for achieving those taking into account family dynamics. If we both feel that the suggestions offered are a good fit, and if time permits, together we begin designing the plan. We counsel the client through a vast array of possibilities unique to the client’s circumstance(s) and together design a family protection plan for the management and transfer of wealth. 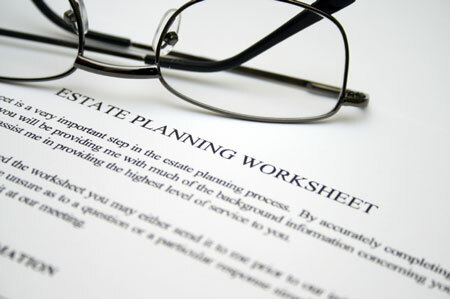 We review existing estate planning documents, if any, and discuss them. After we meet and counsel the client through the maze of decision making, implications and contingencies involved in their plan, we go to work creating the legal documents to put the plan into place. This work is completed at the office so that everything is accurate before our next meeting. After we confirm the details and create the legal documents that will effectuate the client’s goals and concerns, we meet to review them together. We answer any remaining questions and present the client with a completed plan for signing. The plan is implemented by signing the legal documents, updating beneficiary designations and making title changes as needed. Most estate plans tend to fail because they are not properly maintained or kept current. Periodic review and updating a client’s plan will help to ensure that their true goals and concerns are honored as they change over time. Copies of any existing estate planning documents, i.e. wills, property agreements, durable powers of attorney, medical directives and any existing trust documents.